Platinum Property Partners (“PPP”) is an established, highly respected and successful property investment franchise that enables it’s Franchise Partners (PPP’s term for franchisee) to quickly, safely and successfully build UK residential property portfolios as profitably as possible. PPP Franchise Partners to build property portfolios that achieve an average return on investment of 15%. After paying all costs (mortgage, bills, maintenance and voids), an average property will generate £15,000 gross profit per annum from rental income alone. Current PPP Franchise Partners are from a wide range of backgrounds and include individuals, couples, family partnerships and business partners. Most have either been employed at director or senior management level in larger businesses or have owned and operated their own companies. Intensive one-to-one mentoring and training and technical workshops throughout the year for the lifetime of the franchise partnership. Initial personal and intensive one-to-one mentoring in the field. Thereafter, on-going training and support in order to help follow the various systems and strategies that have been developed and refined to maximise cash flow and equity gains. PPP directly employs a team of experienced and qualified professionals offering support every step of the way. Breakdown of Package: Business start-up package, extensive pre-mentoring component, initial one-to-one mentoring, licence to trade under the PPP name and logo, stationery, primary Operations Manual, additional technical operations manuals. Operational support from a head office team and ongoing technical/strategy support from specialist mentors, local area research and acquisition, structuring deals and financing, planning, renovation and refurbishment, lettings and management. And much more. 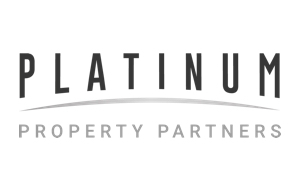 Please complete the short form below to request more information from Platinum Property Partners. In the future you will be able to login using your email address and postcode to quickly request information from other companies.